SALISBURY, NC (WBTV) - A senior wildlife biologist in Yellowstone National Park will speak Thursday, April 5, on "The Wolves of Yellowstone: The First Twenty Years," at the Center for the Environment building on the Catawba College campus in Salisbury. Doug Smith, supervisor of the wolf, bird and elk programs, originally served as project leader for the Yellowstone Wolf Project, which reintroduced and restored wolves to Yellowstone National Park. He received a bachelor of science degree in wildlife biology from the University of Idaho in 1985. While working toward this degree, he became involved with studies of wolves and moose on Isle Royale, which led to a master of science degree in biology from Michigan Technological University. His Ph.D. in ecology, evolution and conservation biology is from the University of Nevada, Reno. Smith has published a wide variety of journal articles and book chapters on beavers, wolves and birds and has co-authored three popular books on wolves (The Wolves of Yellowstone & Decade of the Wolf, which won the 2005 Montana book award for best book published in the state). The third book, Wolves on the Hunt, was published in May 2015. He has participated in a number of documentaries about wolves for National Geographic and British Broadcasting Company (BBC) as well as other media. 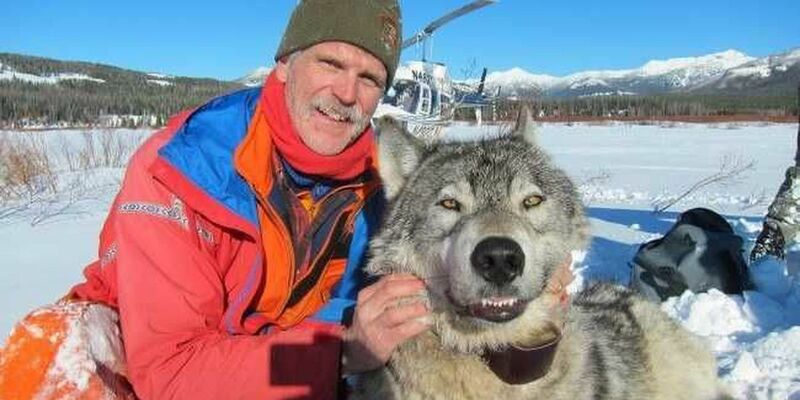 He is interviewed widely and speaks often about wolves to audiences all over the world. His professional interests include wolf population dynamics, wolf-prey relationships, restoration of ecological processes, raptor conservation, and beaver population dynamics. Smith's talk is scheduled for 7 p.m. in Room 300. It is free and open to the public but reservations are required: Visit CenterForTheEnvironment.org or call 704.637.4791.